Nature And Biodiversity Conservation Union e. V.
Olaf Tschimpke was born in Peine (Lower Saxony) and completed his university degree in Geography at the University of Giessen. He gained valuable international experiences in Sri Lanka and Tanzania, where he carried out research on the sustainable usage of land. Olaf Tschimpke joined Nature And Biodiversity Conservation Union (NABU) in 1976 and in 2003, he began his first stint as president of the organisation, a position to which he was recently re-elected to serve a third term. 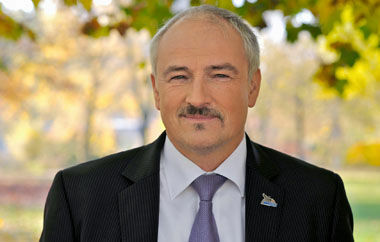 Olaf Tschimpke also served as regional head of the NABU Lower Saxony branch for 18 years. In addition to this position, he was a member of the supervisory board of the Wuppertal Institute for Climate between 2004 and 2017. 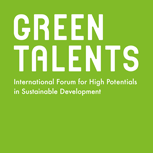 Due to his outstanding expertise in environmental preservation and record of sustainable governance, Olaf Tschimpke was appointed as Deputy Chairman of the Council for Sustainable Development of the German Federal Government in spring 2012. Since 2017, he has been a member of the steering committee for science “Sustainability 2030” as well as the advisory board of the German Industry Initiative for Energy Efficiency. Among his other activities, Olaf Tschimpke is a Chairman of the curator-board of the Nature Conservation Foundation History; member of the curatorship of the Michael Otto Foundation, which focuses on the preservation of water resources, and the Hanns R. Neumann Foundation, which specialises in sustainable development in the agricultural sector. He is also a member of the ZDF Television Council.